Ile Aux Nattes a paradise at the end of the world In Madagascar. Ile Aux Nattes, locally just called Nosy Nato is fast becoming the new beach paradise in Madagascar. 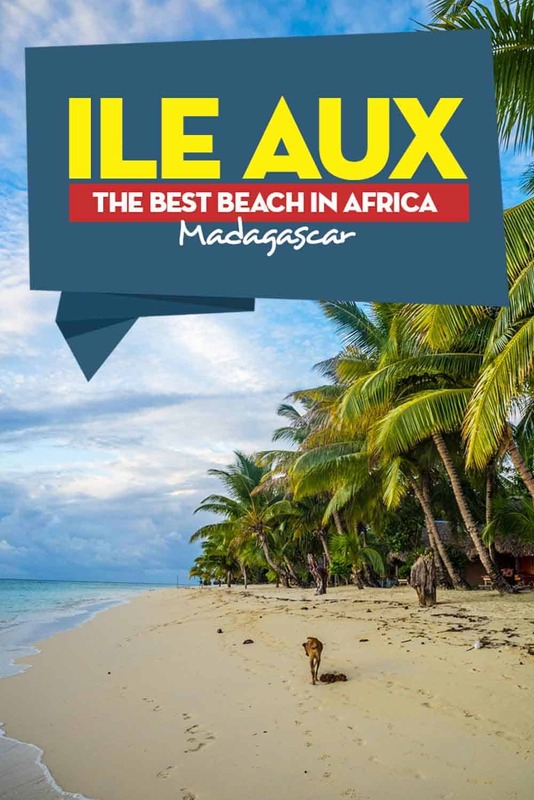 And it’s easy to understand why it has started to overtake Nosy Bee places as the number one beach destination in the whole of Madagascar. The Crystal clear water outside Sambatra Lodge where I stayed, the open field is the local football pitch. And this time I have to agree with the Lonely Planet, Ile aux Nattes is paradise. But that’s the only thing right about Ile Aux Nattes in the guide book – everything else is very outdated. Ile aux Nattes is located just off the southern part of Ile Sainte Marie and separated only by a small channel. Arriving at the southern tip of Ile Sainte Marie you might automatically think: Oh, I don´t need to pay for the canoe shuttle across the channel, I can just walk across it. The Channel is separating Ill Aux Nattes and ill Saint Marie. It´s not far, but it´s deep. No, you can’t, it’s a lot deeper than it looks. But you can easily swim across if you don’t have any bags with you, or you can just pay the 2000 Ariary fee to get shuttled across by a canoe. The boatman can paddle you to your hotel for 10 000 / 15 000. If your hotel is located on the far southern side of the island it is a 30 -40 min boat trip. Panoramic view from Sambatra Lodge where I stayed, a place I can highly recommend. If you have heavy and bulky luggage with you is it highly recommended to take the canoe to your hotel. There are no cars on the island at all but there are about 5 motorbikes on the island. There is a small network of trails around the island connecting the local villages/settlements scattered around. There isn’t too much to do on this paradise island but the beach is world class and snorkeling is great in the crystal clear water. Scuba diving is another great activity you can do on the outer reefs. There is no dive shop on Ile aux Nattes itself, but every guesthouse/hotel can arrange for one of the dive shops on Ile Sainte Marie to pick you up in the morning. Whale watching is a popular activity here during the month of September. You can walk around the whole island on the beach in about 2 hours. Or you can hike to a building called the “White House” built on the highest point of the Island. The White House offers a rooftop terrace with a 360* view over the whole island and is the perfect place to knock back a few beers in the sun. Just be aware that you will have to either buy a drink OR pay a 3000 Ariary entrance fee to enjoy the view. Another option is to hike to the old lighthouse on the south-eastern part of the island for a great view over the southern part of the island. The Old Lighthouse on the southern part of the Island, there´s a great view from here. 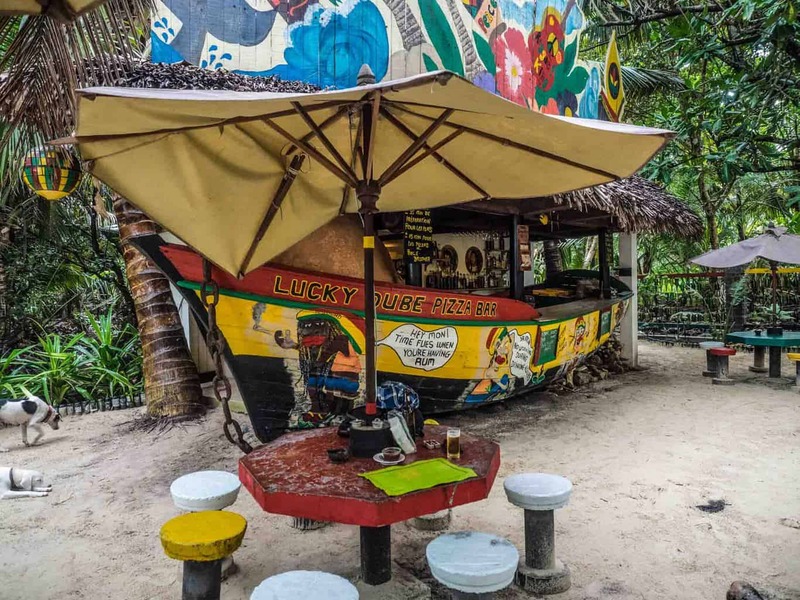 But the best and most popular thing to do here is definitely just to relax on the beach, and then head to the Lucky Dube Pizza Bar, a reggae-themed bar for an afternoon pizza (they have fresh seafood dishes too) over a game of Bocha while listening to your favourite Bob Marley song. The Lucky Dube Pizza place, the place to hang out in the afternoon. Two locals are paddling their canoes home just before sunset. Looking for where to get next in Madagascar? Check out this post about Top 11 Trekking Adventures in Africa, including the hike to Pic Boby Trek. Additional Information About Ile Aux Nattes. There are two ferries between Mainland Madagascar to Ill Sainte Marie a day. It´s the only fully English spoken place on the island. The place offers a bar, a great restaurant. There are 7 Bungalows here, all of them with big western bathrooms, comfy double beds, and even an airy balcony, that´s perfect for sunsets. Vincent was currently expanding the place with a female and male dormitory during my visit. The only one on the island. That´s perfect for sunsets. Vincent was currently expanding the place with a female and male dormitory during my visit. The only one on the island. It´s the place to stay! The cheaper options mention in the Lonely Planet looked very rundown during my visit, some of the actually looked permanently shut down. Food & Drinks: There´s not much food and drinks options outside the resorts and guesthouses, you got the Lucky Dube Pizza and a few cheap restaurants in the biggest village in the middle of the Island. Since everything has to be transferred to Ile Aux Nattes by the small canoes, so are things a bit are more pricey here for drinks and food. Shops and even the restaurant is often out of stock on different stuff here. Money: There are no ATM or money exchangers on the island. The closest and only ATM´s are up at Ambodifototra the biggest city at Ill Saint Marie. But they do run out of money, so it´s a good idea to bring some backup from mainland Madagascar. There´s also two banks and an official money exchange up there. The better hotels/resorts on Ile Aux Nattes do accept payment in Euro. Internet: Only 1 or 2 of the most expensive resorts offer WIFI here, and the connection is slow. If you have a local Madagascar Sim Card will you get a stable 3G connection here. Electricity: There are only a few hours of electricity a day on Ile Aux Nattes, often two hours in the morning, and two hours in the evening. Other: There´s a big presence of mosquitos and other annoying bugs here in the evening. So it´s recommended to bring bug/mosquito repellent with you. There´s nowhere to buy it while here. There have never been any cases of Malaria on the Island according to the locals. Ile Aux Nattes is a true African paradise. Located of the east coast of Madagascar, here the complete guide how to visit some of the best beaches in the world. 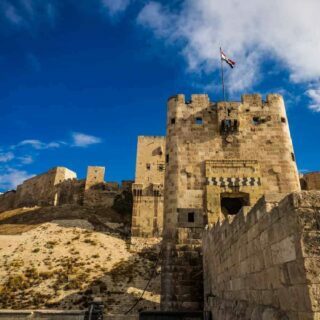 Amazing place, but most of all super detailed article. I will use all your advices if i get there, i will for sure! For sure you have to put this destination on your list!PARADISE s a good word to describe this place. Sambatra is great, Vince is an awesome, super-funny , helpful person – Highly recommend his place!Oh don’t miss bingo night and full moon party at Lucky Dube! This place sure looks like paradise on earth would love to visit one day when my ship comes in. I stayed at Sambatra beach lodge. On ille aux Natte 3 times over the last three years. I have traveled to many places all over the World but this is still the best holiday I have ever had. Can’t wait to get back. Vincent the owner was fantastic. He is always there to assist in any way. I can see why he loves the lodge. The staff are so friendly. The bungalows are. Perfect. And spotless. And Right on the beach. The food was delicious fresh fish daily. Octopus, prawns dishes are unbelievable. Big bonfire to sit around at night making friends with people from all over the world. Swimming in such beautiful calm clear warm dirring the day and even at night. The beach pub is very well stock And you can party on or retire to your comfortable bungalow. 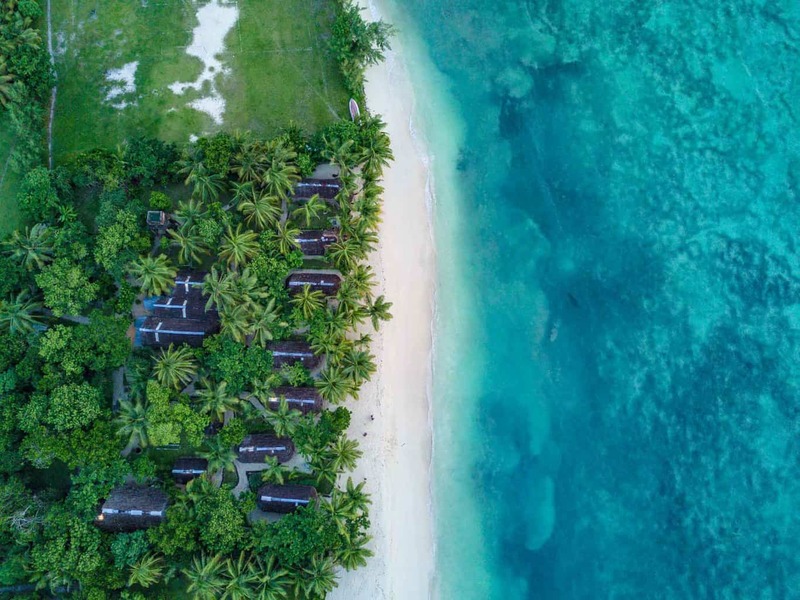 Sambatra beach lodge is the perfect relaxing tropical paradise island holiday. Can’t wait to get back soon. Linda. &. Emile – South Africa. Heey Linda. 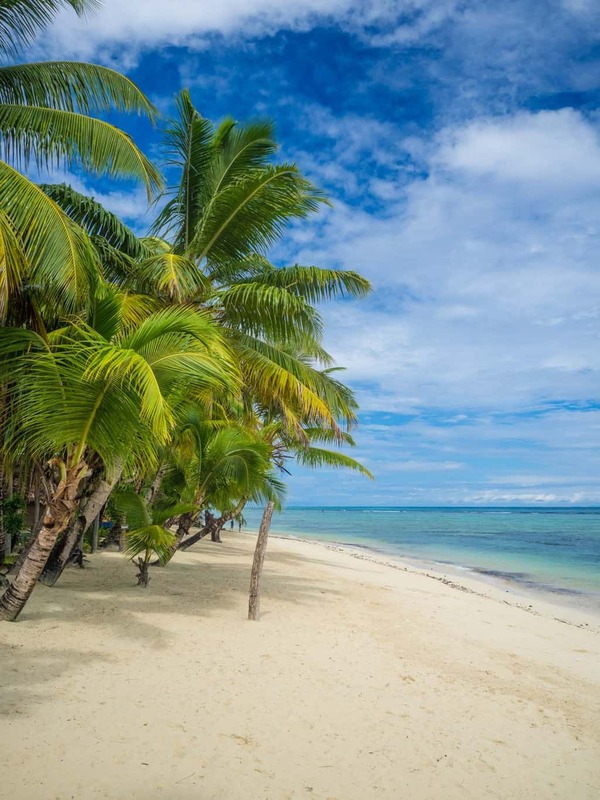 I agree Vincent is great and the bungalows are amazing, I really hope I will visit Ile Aux again in the future, and if I will, will I definitely stay at Sambatra again. Can you please confirm if the price of 10,000 / 15,000 Ariary is per person or per boat? When I did the trip the price was 15 000 Ariary! Do you know if we have to go to Ambodifototra to rent a motorbike or maybe closer to Ile aux Nattes? Maybe Vincent can arrange it? We stay five days and want to visit Sainte Marie. Don’t know if stay two days in Marie and three in Nattes. Or staying at Nattes all days it’s practical for doing the trips to Marie? Most likely will you have to go to Ambodifototra to rent a motorbike, but it´s only a short ride from where you take the small canoe to Ile Aux, so it´s not much of a detour. Vincent can most likely arrange you to pick it up from where the Canoe goes. Since canoe ride across from Ile Aux to Sainte Marie only takes 5-10minutes so there´s no problem to stay at Ile Aux and just travel across every day if you want to explore Sainte Marie. Sainte Marie has a lot more food options and it´s A LOT more to do there, but Ile Aux is pure paradise to relax. If I would ever go back to this part of the world would I spend all nights on Ile Aux and just do “day trips” around Sainte Marie.